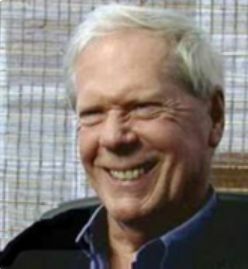 GOLDSEEK RADIO: Dr. Paul Craig Roberts, Arch Crawford, Chris Waltzek Ph.D. & Robert Ian - June 1st, 2018 - Goldseek.com Radio ©2005-2018. A Spina-Waltzek Production-©2005-2018 http://radio.goldseek.com/ Royalty free music from Google Play. Disclaimer: this show is presented as informational content only; always consult first with a registered financial advisor before making investment decision. 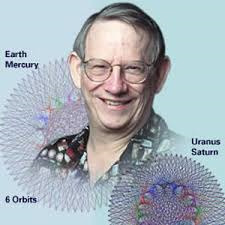 Dr. Paul Craig Roberts, Arch Crawford, Chris Waltzek Ph.D. & Robert Ian - June 1st, 2018 - Goldseek.com Radio ©2005-2018. A Spina-Waltzek Production-©2005-2018 http://radio.goldseek.com/ Royalty free music from Google Play. Disclaimer: this show is presented as informational content only; always consult first with a registered financial advisor before making investment decision. The discussion begins with the new global trade War; although the US has suffered the loss of 500,000 manufacturing jobs per year for over a decade. The proposed cure to heal the economic patient (trade tariffs) may be more detrimental than the disease. The US will deploy aluminum tariffs with Mexico and Canada as soon as this Friday, noted one report. Our guest views tariffs on such manufacturing inputs as counterproductive. "Globalism and neo-liberal economics, have essentially destroyed the national manufacturing base... and ruined the country." While true "free trade" benefits all nations involved, the trouble stems from "absolute trade," which benefits one nation over the other trade partner. Policymakers allowed the most productive domestic manufacturing cities to lose their key plants / facilities, decimating their key competitive edge. The same malevolent processes are taking place in Italy, France, U.K. and Germany, injuring the classes for the economic benefit of the upper 1%. He views the gold and silver safe havens as the only viable shelters from an impending economic maelstrom of epic proportions. Arch Crawford, head of Crawford Perspectives for 41 consecutive years, outlines his technical perspective on US shares, gold, silver indexes. Market volatility could explode next month; his work indicates June 6th through June 14th could be a difficult time in markets for traders / investors. The current period is the longest consolidation without a new high in years, suggesting waning momentum in US share prices. Uncertainty tends to be good for safe haven investments - Arch says he's "... a buyer of the metals (precious metals), as well as Bitcoin and any solid hedge." The host notes, Financial money flows (WSJ) continue to favor financial stocks, a positive sign for the overall markets, as financial shares tend to lead the averages higher.